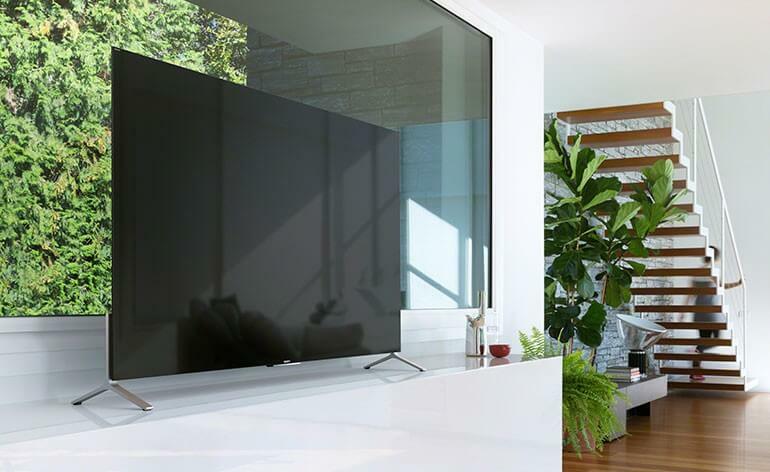 The Quantum Dots technology (QLED), thin body, curved screen and the new OS trends in new televisions. 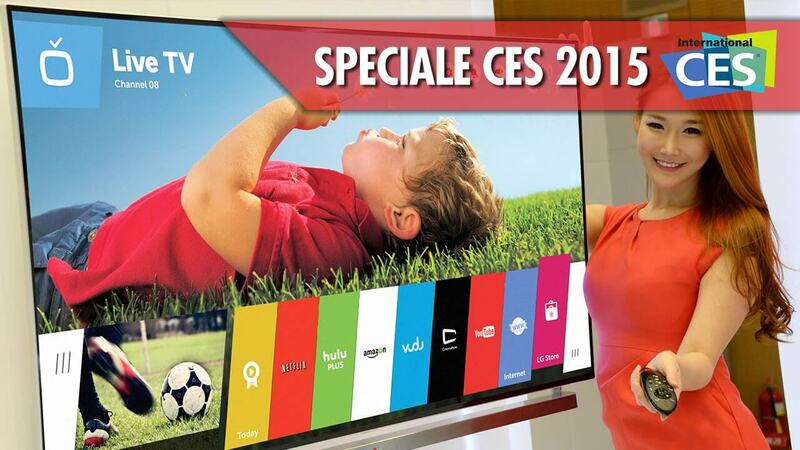 This is only a small part of what will happen on the TV market in 2015. We have seen premium Samsung’s Quantum Dot (QLED) technology . QLED is based on the use of an additional layer of crystals of 2-10 nm, where each such point emits its “pure” color. Adding so-called “film” of quantum dots to backlight a positive effect on the color and brightness performance. No less interesting and new software interface skins Smart TV: well-known manufacturers offer just three operating systems – Android ( Sony and Philips ), Tizen (Samsung) and WebOS ( LG ). 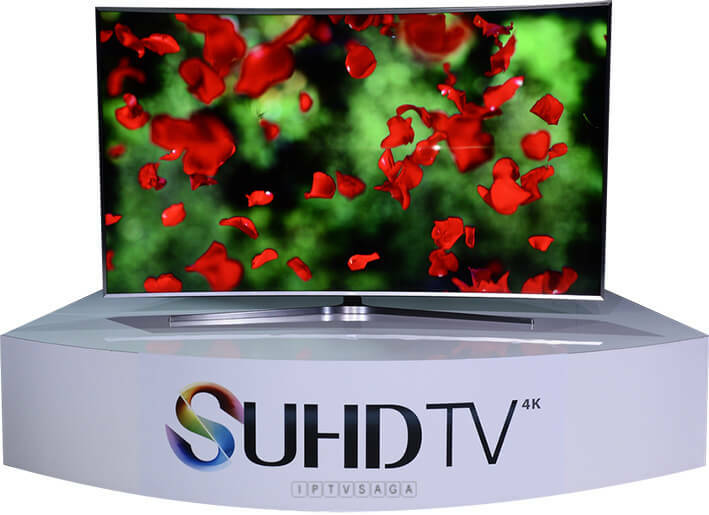 Top model Samsung UN88JS9500 TV 88-inch with support for 4K resolution (3840 × 2160 pixels) used technology Nano-Crystal Color (quantum dot technology) and the operating system of its own design Tizen. Screen device has a curved and format support 3D. TV got eight-processor, Wi-Fi module with support for Wi-Fi Direct, Bluetooth module and system control gestures. Model JS9500 QLED TV has 4 HDMI and 3 ports USB. In total, the product line will be presented a few models with different screen diagonals. LG is one of the few large manufacturers who will not part with displays based on organic light-emitting diodes (OLED). Seven new curved OLED-TVs with support for 4K coming to the market this year from the shell of the new operating system WebOS. Sony Bravia X90C is only 4.9 mm. The chassis of the TV is integrated motherboard processor NVIDIA Tegra X1, which is perfectly cope with content in 4K resolution and the remote control is equipped with a touch panel and a microphone. Diagonal screen size of the device is 55 or 65 inches. The TV is using its proprietary technology backlight Sony Triluminos, which is capable of displaying more colors compared to traditional LCD screens by special design. The model has four HDMI inputs and three connectors USB. Android TV Platform, will make watching TV a comfortable and interactive, first implemented in BRAVIA models this year .Android TV can provide access to the usual mobile applications in your living room. Available plenty of entertainment: movies, music and games. However, not all of the latest adaptation obtained by the use on TV. LG 34UC97 used LCD panel with the matrix AH-IPS 34-inch diagonal, the nominal resolution 3440h1440 points and an aspect ratio of 21: 9. The monitor provides 99% coverage of the sRGB color space and a refresh rate of 60 Hz when connected via interfaces DisplayPort or Thunderbolt. The claimed contrast ratio of 1000: 1, response time – 5 ms, viewing angles horizontally and vertically – 178 °. 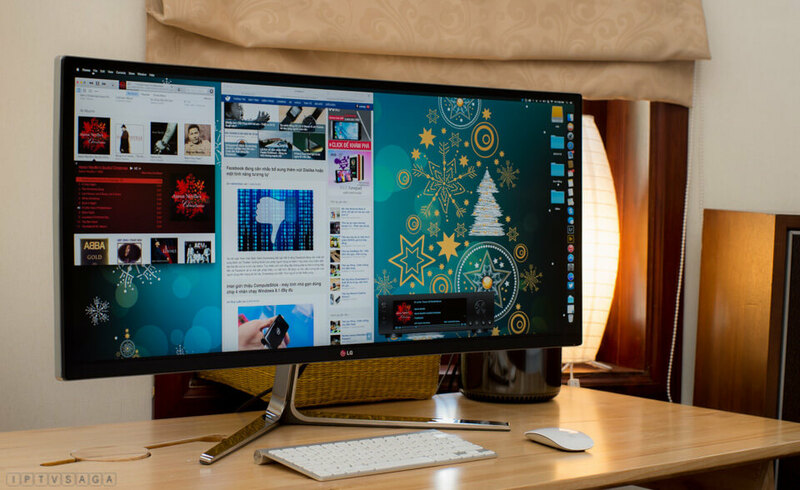 This monitor also offers Samsung, although 27 inches diagonally. “A curved screen for maximum immersion” – a slogan that might make someone buy this device. Samsung promises a flicker-free display, thanks to technology Flicker Free, wide viewing angles and built-in speakers (5W x 2 channels). The first tri-band WLAN-chip company Qualcomm promises wireless streaming 4K-video on an external display. This decision will have to transmit information on the standard for Wi-Fi frequencies of 2.4 GHz and 5, as well as the new 60 GHz. In the latter case, the bandwidth of the radio channel will be up to 7 Gbit / s, which is sufficient for streaming 4K-video from your smartphone to the TV. However, while this technique works only at a distance of several meters. Until and FullHD transmitted shoals in practice, we watch their body movements. Previously, Intel has introduced the technology of wireless data transmission, including low-cost adapter Screenbeam Mini 2 in a compact form factor based on the Intel Wireless Display, and LG TV with a resolution of 4K, which supports Intel Wireless Display for wireless transmission from PC high-definition video UHD (3840 x 2160). Most would be able to test it all. What is IPTV , How it works?